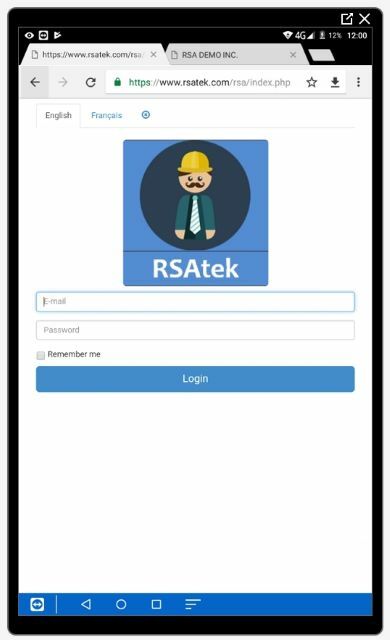 RSAtek - Responsive scheduling and mobile solutions for field service workers. 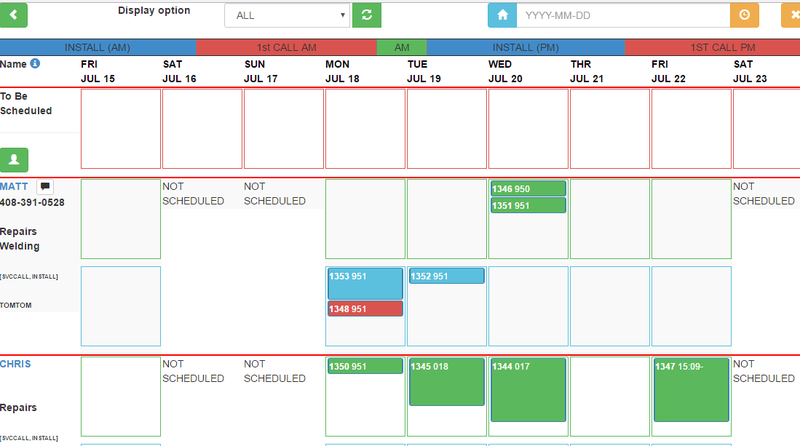 Responsive scheduling and mobile solutions for field service workers. We have a 20 year history of serving a wide range of customers and offer a complete end-to-end system with work-order entry, scheduling, invoicing, A/R, A/P, Payroll and Financial reporting. 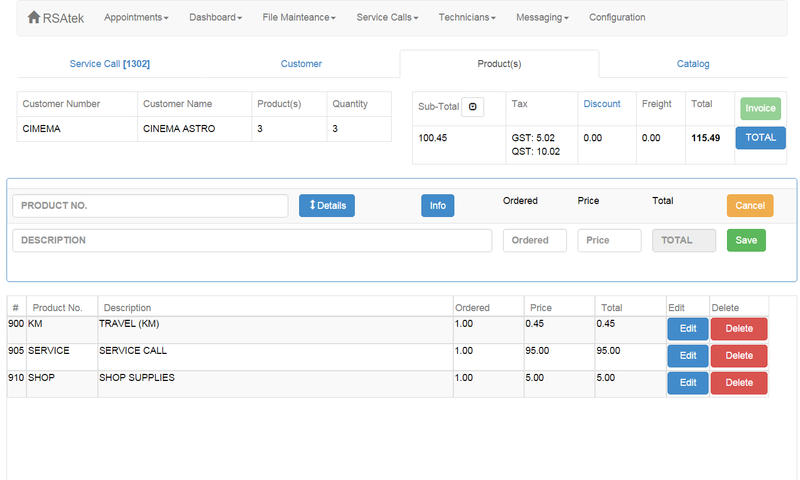 a Cloud (Saas) or Server based solution for Supply Chain, Service Billing and Financial Management. An online SMS messaging service for text messaging, interactive responses, reminders and marketing campaigns. (*) requires a smartphone/tablet with SIM card and a 7" screen (recommended). (**) requires a SMSHQ subscription. 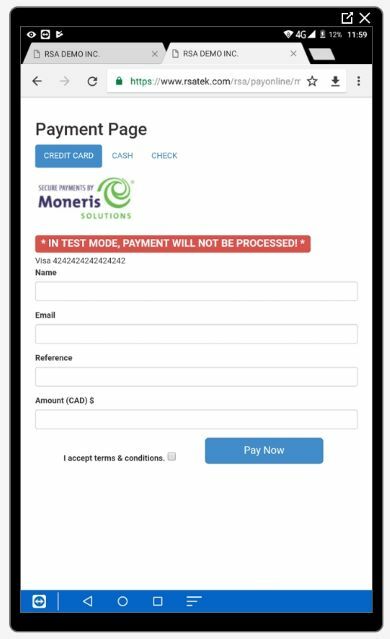 (***) requires a payment processor with a Hosted Payment page. 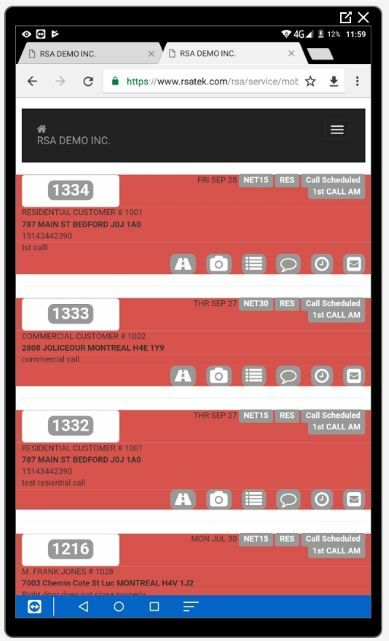 •	View all calls and their status (open/closed). •	View all technician's current location (*). •	Click on any marker to see call details. •	Products automatically added to all work orders, so nothing is forgotten. 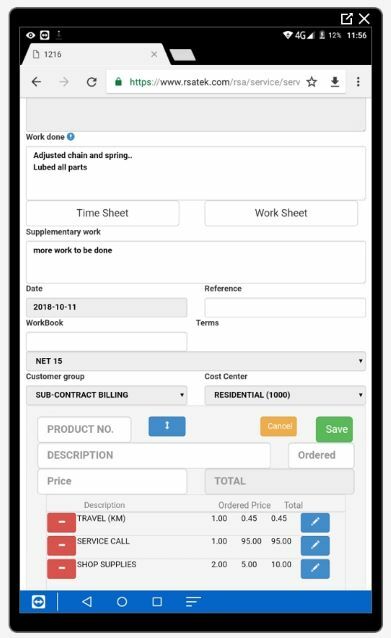 •	You can generate Invoice directly from work order (optional). 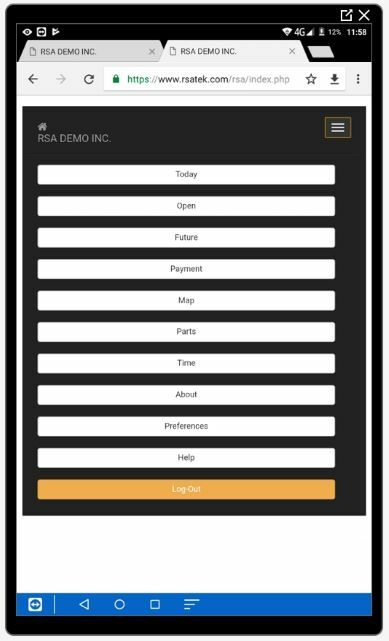 •	Accept credit card payments in the field (optional). •	Book a call today or enter six months from now. •	Search for a call by name, address, telephone number or job description. 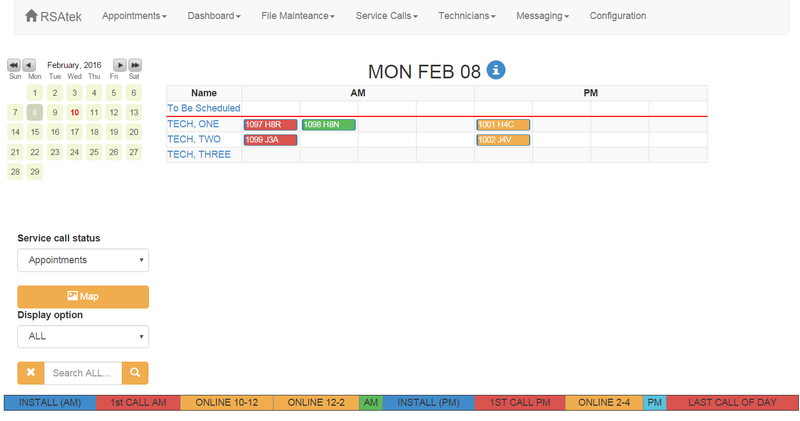 •	Hover over any call to view all details. •	Click to change call status or send details to technician or customer (*). •	Search by customer name, address and telephone number. Add if not found. 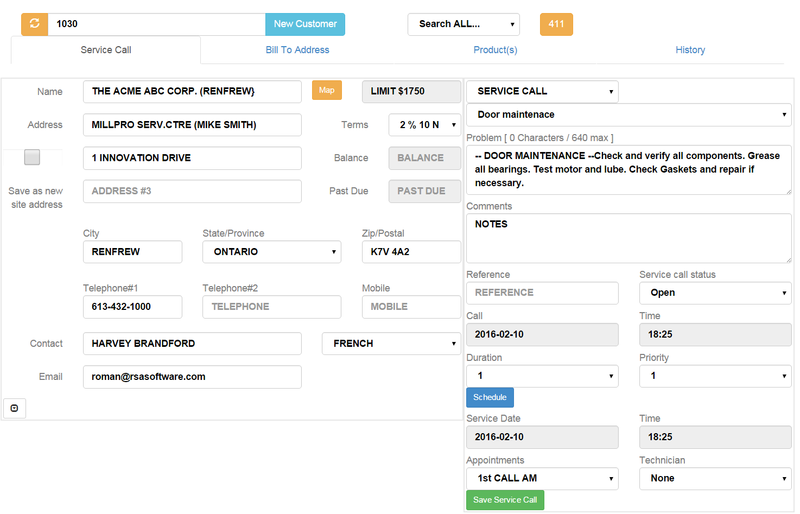 •	Warn if call already scheduled for this customer and view all service call history. 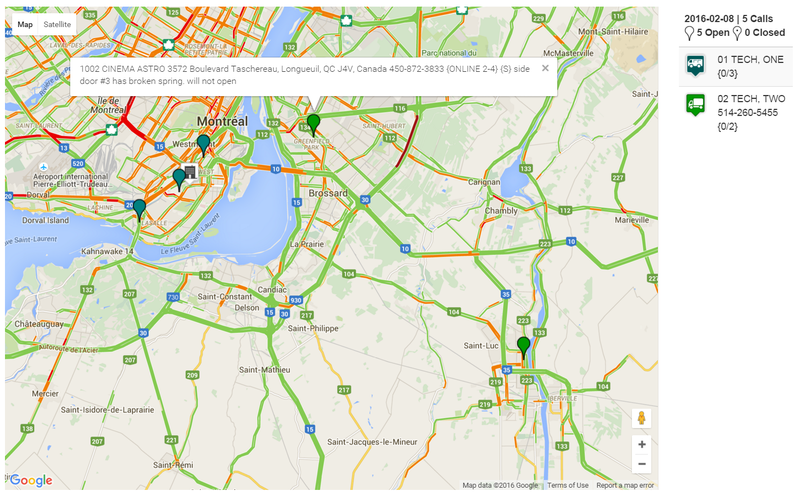 •	Click on Map to view job location as well as all technician's current location (*). •	Customer terms, balance owed, past due amounts are easily viewable. •	One billing address and unlimited job sites and contacts. •	Any new call for today, will automatically be dispatched to the technician (*). •	Shows all calls for any specific day. 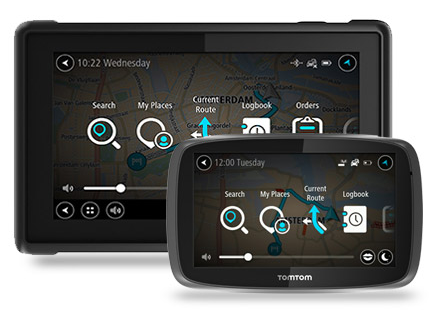 •	Also view calls on a map, to insure that driving distances make sense. •	Drag and drop a call to a new technician or date. If for the current day, then both technicians will be automatically notified (*). •	Orders automatically sent to technician when a new call is scheduled for today. •	Technicians notified when a call is transferred from one technician to another. 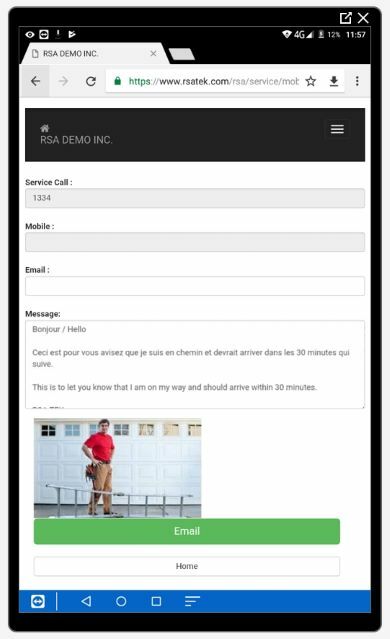 •	Communicate directly with your technicians via email or SMS (*). •	Calls are automatically dispatched for tomorrow at a pre-determined time. 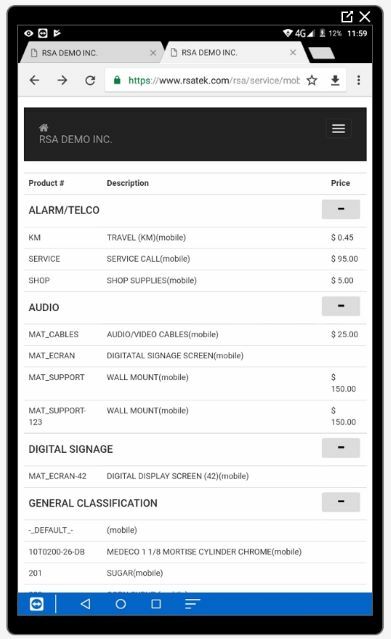 •	View the status of all calls, automatically updated by technician in the field (*).